We’ve reached the end of REAL GONE’s first full year online and it’s been great. I would never have imagined at this point a year ago the blog would have gained such momentum. REAL GONE has gathered increasing support from bands and music fans across the world and it’s getting stronger all the time. Such a fantastic disc – one of the finest examples of power pop/retro pop ever. Not a band song in the bunch and a couple that are so good they almost defy words. You’ll have probably read plenty of good reviews of this one over the Summer and beyond. Certainly deserving of its praise, Brain King’s fusion of Brian Wilson, Jellyfish, Ben Folds and Weezer features some great songs, earning it a place among the year’s finest offerings. Here’s one I didn’t see coming: a perfect homage to late 70s/early 80s AOR from Sweden. Smooth westcoast grooves haven’t sounded this good for years. In fact, despite being recorded in 2010, it sounds like an authentic vintage gem. If you’ve not heard it, it’s a must. I’ll admit this is an obvious choice, likely to grace many and of year lists. The fact is, though, Robert is a legend and he sounds so inspired and comfortable playing this kind of Americana. It could even be better than his ‘Raising Sand’ collaboration with Alison Krauss. I liked SA as a live band before, but never found myself too excited by their recorded work. However, this comeback disc is so solid – and mature. Before it was released, if you’d told me it would be one of the year’s best albums, I may not have believed you. Those were the winners, but there’s a bunch more which also made a big impression: Grinderman’s second disc ; certainly more focused than their debut, but lacking absolutely none of their ferocity. A great singer songwriter, Edward O’Connell, who proved with ‘Our Little Secret’ it’s still possible to record and release a major-label quality album without a huge budget. Stone Sour’s ‘Audio Secrecy’ was surprisingly enjoyable, full of great choruses – the kind I wouldn’t have dreamed anyone from Slipknot would be capable of writing, making it one of the year’s best metal discs. A rather personal album, Mark Bacino’s New York themed ‘Queens English’ was a little different from his previous work…a definite grower. I’ll also have to admit that I’ve warmed to ‘Postcards From a Young Man’ by Manic Street Preachers a great deal since writing my original review. Sure, I’d pick angry Manics over commercial pop/rock Manics most of the time, but there’s no denying ‘Postcards’ has some cracking songs on it. …And lastly, a thumbs up for Sweden’s Genuine Fakes, whose debut showed great promise. Their super-charged rendition of Beyonce’s ‘Irreplaceable’ was the year’s best cover version. Thanks to the various blogs and websites that have been friendly and provided links and support; especially to all those who recognised we’re in this together and I’m not going to steal their audience (a concept that not all website owners understand)! Thanks to Curt at Powerpop Overdose, since many of his loyal supporters are now regular visitors to REAL GONE, and also to Dave at Left and to the Back (one of the most entertaining blogs out there) for also sending traffic my way. A special thank you also to Emma at M Is For Music, who kindly reproduced some of the work from this blog at her site and helped bring my writing to a bigger audience. My gratitude also goes to those who’ve supported REAL GONE by visiting regularly: I know there are a bunch of people out there who’ll read absolutely everything that gets published here. Lastly, thank you to the various bands and artists who’ve lent support by sending out copies of their albums for review. Without them, it just wouldn’t be the same. Here’s to 2011 – cheers! Ben Fuller believes that every place he visits and every person he meets has a story and that visiting new places fills him with new energies he puts into music. It’s likely it’s that kind of wandering spirit, hippie ethos which gives his debut EP an upbeat vibe. ‘Ashes’ opens the EP with a 4/4 semi-acoustic workout which is musically strong. While the music is great (incorporating elements of Ryan Adams and the many other Americana-pop singer-songwriters and bands out there) and Fuller’s song writing seems to be built on solid foundations, his vocal is an acquired taste. There’s something about it which seems like a product of the studio – an unnatural shininess detracts from Fuller’s performance. Something which should have a natural sound feels a bit too “perfect” and in doing so has lost a lot of heart. ‘Handsome Lover’ offers a decent slab of pop/rock with a tougher edge than most of the EP; the lower end of Fuller’s vocal range steers away from the previous irritation. It’s hard not to listen to it and not be reminded of Jakob Dylan and The Wallflowers, which, as most people know, is never a bad thing. Although slightly slower, ‘Favourite Song’ hovers somewhere between the two styles of the previous songs. The chorus retains the decent punch and the verses have a gentle feel. With the help of its decent-ish chorus, this should have been a highlight, but Fuller’s voice isn’t that great here – as with the opening track, it sounds too clean; almost a little cartoonlike. I’m still unsure as to whether some studio trickery has been employed… There’s always a possibility his natural voice carries an unnatural timbre, of course – look at Paulo Nutini. Actually, let’s not. Musically, ‘Inside Out’ is a great example of jangly, slightly retro pop – the kind Counting Crows are capable of, that is, on the rare occasions they’re not wading knee-deep in an overly wordy mope-athon. The ringing guitars and an unfussy drum rhythm keep things buoyant and the track has enough peaks and troughs to stop it from ever becoming stale. Once again, though, Fuller’s vocal style has a quirkiness which may not always appeal, but that’s easy to gloss over when everything else is decent. As a sort of tribute to Fuller’s roots, on the surface, ‘California’ carries a chirpiness which strives for that perfect radio hit for the summer and in doing so it’s effective. Usually, I’m not a fan of the almost beach styled pop, but thanks to a simple chorus and a great guitar part, it manages to be a winner. However, if we look at that simple chorus a bit closer, this ode to California doesn’t necessarily seem to be all together positive. It appears to be a statement of how California thinks of itself as above others: “We don’t want nobody, we’re California!” It’s infectiousness ensures this is memorable long after listening, making it one of the EP’s strongest cuts. 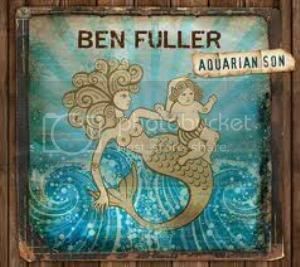 ‘Aquarian Son’ occasionally has a poppier edge than a lot of other stuff of a similar ilk and Fuller’s voice can be incredibly irritating at times. However, largely due to Fuller’s knack for writing uncomplicated melodies and having a decent band in tow, most of the songs really stand out. While it’s not as introspective as some of Ryan Adams’s gentler works, it’s not hard to imagine that some of his fan base could find something to latch onto while listening to this EP; or maybe if you’re a big fan of the lighter moments of Train’s work (most obviously their ‘Save Me, San Francisco’ album) this will have some appeal. Named after the Rolling Stones’ drummer, Boston quartet Watts make a sound that’s trashy, yet tight. The chief influences behind their sound are The Faces, mid-period Replacements and (unsurprisingly) 1970s Rolling Stones, so you’ll know instantly what they sound like. Dan Kopko’s vocals have a slightly gravelly edge that’s well suited to their four chord, cranked up rock ‘n’ roll, and while the main ingredients of their sound have been heard time and again from similar outfits, Watts are a band more than worthy of your time. After a great drum and guitar intro from Johnny Lynch and John Blout, ‘Fight Song’ grabs the listener with its husky vocal and spiky guitar riff during a two-and-a-half minute display of sweatiness which recalls the best Supersuckers material, before they insisted on playing country music. Throw in an angry rallying cry of “This is not a war I believe in” and ‘Fight Song’ becomes a number which captures Watts at their best, exuding a dirty rock ‘n’ roll spirit. Their Stones fixation comes to the fore on ‘Dancehall Days & Nights’ where the lead guitar work creeps farther into Keith Richards territory, with a crystal clear twang ringing out above the grubby riff. It may not be an original sound, but between the riffs and chorus (with great backing harmonies from guitarist John Blout) Watts really come alive. A similar swagger carries ‘She Wants To Rock’, which features Blout stepping up for lead vocals. Also fantastic is their cover of ‘No Secrets’ (originally by Aussie rock band The Angels aka Angel City). A song which sounds almost tailor made for Watts, its infectious chorus captures Kopko and Blout in a moment of vocal unison, while its swaggering chords really hit the spot. ‘Afterburn’ features a couple of the album’s best performances: between the spiky riffs, John Blout’s guitar solo rips from the speakers and, here, Kopko’s raspy vocal style sounds absolutely at home on another number which occasionally nods at other late 70s Aussie rock influences. There are a couple of moments where Watts slow things down. ‘Don’t Mind’ has a slightly darker vibe, but still with the emphasis on great garage rock. Although not one of ‘On The Dial’s more instantly appealing numbers, it has a solid arrangement – with some of Johnny Lynch’s drum work being particularly appealing. ‘The Times’, meanwhile, is a great showcase for key changes and backing vocals. With a relatively big hook and bar-room vibe, it’s not especially sophisticated, but you wouldn’t want it to be. ‘Girls On Holiday’ is slightly quieter than a lot of ‘On The Dial’s other songs, but a ringing guitar and great chorus are on hand to provide a couple of great hooks. The weak point here is undoubtedly Blout’s guitar solo where he noodles up and down the fretboard without breaking into anything important – but to make up for that, you could always spin ‘Afterburn’ again! The songs aren’t too varied, but the production values are great for a self-released disc (albeit slightly too much in favour of mid-range and treble aspects, but even so, the sound suits the music) and there are no obvious duds among the thirteen numbers. 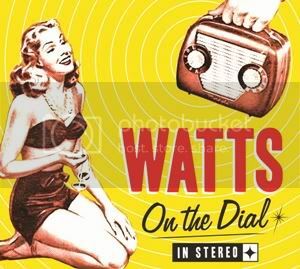 Watts are unlikely to win any new converts to the trashy rock ‘n’ roll cause, but for those who enjoy this style of music, ‘On The Dial’ is worth investigating. Chris Francis is a guitarist from south east England. He will be familiar to melodic rock fans as being the man who replaced Vinny Burns in TEN, playing on their ‘Return To Evermore’ and ‘Twilight Chronicles’ releases. In addition to that, he’s released guitar instrumental albums under his own name. Moving away from the guitar instrumental format, Chris’s third release is an album of actual songs. Although released under a band name, Scratched Matinee is essentially just Chris Francis (providing all musical aspects) and Phil Philsworth on lead vocals. 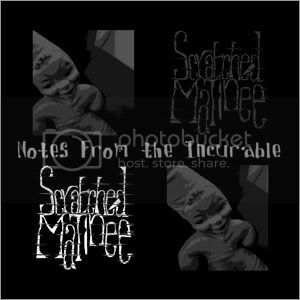 The album, ‘Notes From the Incurable’ is a concept piece, of sorts, which supposedly touches on themes of depression, warfare, psychosis, murder and triumph. I say supposedly, since the album is mixed badly and as a result, most of the vocal details are drowned out by Francis’s loud guitar work at least half the time. Being a guitarist, the guitars will often be his main concern, but the volume of his guitars combined with a small budget makes this album sound overly trebly and rather harsh. The recording is almost without any bass and the drums are programmed – and that’s a great pity, since some of the material here sounds like it should be absolutely amazing. So, what about the songs? A bit of a mixed bag – but more often than not, Scratched Matinee deliver the goods with maximum intensity. A gentle intro with the sounds of acoustic guitars and orchestral leanings leads into ‘The Scarlet Ice’. You want bluster? You want bravado? You got it. The guitars are so dirty; in fact, the overall arrangement has little in the way of subtlety – and somewhere in amongst it all, you’ll find vocalist Phil trying his best to be heard. Not the best of openings, but things get better, at least intermittently. Huge vocals splashed across a late 80s guitar riff can be heard at the beginning ‘These Long Winter Evenings…’ – a track with not only a good chorus and melody, but also features Philsworth’s vocals much higher in the end mix. It provides an insight into Francis’s melodic rock roots, but just as things appear to be settling down, ‘Horror Show’ presents itself with a huge, dirty swaggering riff. Its intro promises a lot, but once you get past the Peter Frampton-esque talk box noises, it seems to be all oomph and no lasting substance. Again, it’s a struggle to hear a clear vocal delivery behind the wall of guitars. ‘New Moon Monday’ offers something a little more restrained. Philsworth delivers a reasonable performance on a pompy song which has hints of early Queen with its piano base. By the time the lead guitars kick in, Francis has chosen his usual tone – and, once more, the guitars appear to be so loud, they mask everything else that’s going on. ‘Mother Medicine’ provides the start of some proper respite from the guitars, sounding a little like the Beatle-obsessed rock as practised by Ty Tabor (but heavier, naturally). Throw in a couple Jellyfish-esque vocals – resplendent with a chorus of backing vocal harmonies, with a bunch of shameless ‘na na’s and ‘la la’s – and it quickly becomes of the album’s best tracks. Similarly, the hard rock waltz of ‘Theatre Insane’ features some great moments. The ringing rhythm guitars provide a decent base; Francis seems to be rather more restrained here and this means that Phil Philsworth gets a chance to be heard upfront once again. Things build until we reach a spooky, carny-influenced moment, which is bolstered by various samples of voices and keyboard strings, before everything falls away and Francis delivers a solo. Here, he wisely chooses something a little quieter, with a few classic moments to be heard – there’s a fair amount of feel, a bit of vibrato and not too much ugliness – a quick reminder of why his previous works were so enjoyable. Hearing a lot of talk prior to its release, this sounded like a brilliantly adventurous project, and in many ways, it is. There are some decent songs here and some potentially very interesting arrangements, but the good parts are absolutely wasted on an album with such a small recording budget. Sadly, a bad final mix combined with the (at times) almost relentless bombast of Scratched Matinee’s approach toward most things brings the potential for a headache. It’s a full-on experience, but not always in the most enjoyable way. Still, if the world needed an album that sounded like 80s guitar rock crossed with early Queen and the pomposity of ‘The Black Parade’ by My Chemical Romance, this is it. If you’re unfamiliar with Chris Francis and are curious to hear a gifted musician, here’s some advice… Rather than wading your way through Scratched Matinee’s foray into something nearing theatrical self-indulgence, as a first listen, you’re better off visiting the Chris Francis website and picking up his solo release ‘Studs n’ Sisters’ instead. More reviews coming later, but first, to get you in a Christmassy mood, here are a few festive videos! I know people who hate this, y’know – the fools. It’s one of the best Christmassy songs ever, even if Jona hadn’t intended it to be. Like Jona Lewie, it’s only a mention of Christmas which gets this lumped in with Christmas songs, but I’m posting it because it’s great. The Pretenders never made a video for this, so watching them mime on Top Of The Pops with gurgly sound will have to do. …and finally, something which could be the best Christmas video ever. Bob Dylan – Must Be Santa Claus: Just brilliant – look at the fun ol’ Bobby is having! Although, this is the most Jewish Christmas I have ever seen (oxymoron).